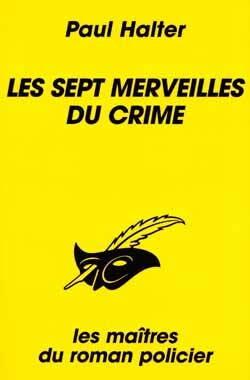 Paul Halter’s 1997 novel Les Sept merveilles du crime (The Seven Wonders of Crime) has now been published in English, thanks to the relentless efforts of translator John Pugmire. It is the second Owen Burns novel to be translated after Le Roi du désordre (The Lord of Misrule) and the third Halter published in English, hot on the heels of his award-winning La Quatrième porte (The Fourth Door). But perhaps it’s a bit misleading to speak of all the crimes as impossibilities. The fifth murder never struck me as impossible, and the impossibility involved in the last murder is not the murder itself. Nevertheless, these are some really creative scenarios. Let’s take the first murder for instance: that of a lighthouse keeper as a storm is raging outside, cutting him off from the world. Suddenly, a scream sounds in the night: the keeper has burst into flames and is screaming for someone to come and help him. Nobody can come to his aid because the lighthouse is inaccessible. At the first possible moment, police officers go to the lighthouse, where they discover that someone locked the poor man in from the outside, thus eliminating the possibilities of a bizarre suicide or equally-bizarre accident. Another example of Halter’s creativity in these scenarios can be found in the fourth murder: a certain Major Rhodes is found in his house dead. The house is conveniently surrounded by some earth which proves that nobody left or entered the house. The cause is dehydration, and yet… there is a carafe full of water right by the corpse!!! 1st Wonder (Death of a Lighthouse Keeper): A very good solution, with one minor reservation: the police really should have done a better job here at the crime scene. 2nd Wonder: An excellent solution. Simple, workable, and fiendishly ingenious. I’m embarrassed not to have spotted this one. 3rd Wonder: Frankly speaking, it’s unremarkable. It’s somewhat clever, but easily solved. 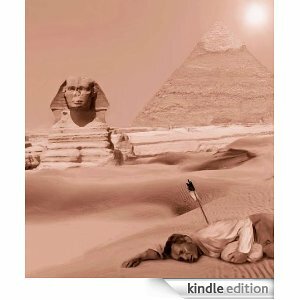 4th Wonder (Death by Dehydration): The most disappointing murder of the book. Not only is it easily solved, but the solution is frankly laughable. It requires mind-boggling stupidity on the part of the victim and I don’t buy it. It’s a shame because it was the most imaginative scenario of the lot, and the disappointment felt is proportional to that. 5th Wonder: This never really struck me as an impossibility. The solution is decent, but it’s the set-up that is flawed here. The situation is so silly that it gets you to doubt the fundamental fact that would make it an impossibility. And yet… there are some really good elements in this set-up, which makes me wish a better set-up was created to accommodate these interesting points. 6th Wonder: The set-up is a classic impossible crime, and the solution is a really elegant one. I came up with a positively brilliant, complex-yet-workable, false theory… only to find out just how completely wrong I was. The irony? I based it on the exact same clue that the true solution relied on. 7th Wonder: The impossibility is not the murder itself, and it feels like Halter’s desperately trying to throw in one final impossibility. As a result, the solution’s a let-down, but the set-up wasn’t nearly as interesting as the others, so I didn’t feel that upset. To sum up: out of seven crimes, I found three of them top-notch and only one a major disappointment. The others are flawed but have points of interest. As for the killer’s motive behind the killings, we’ve seen it done before, but it’s presented in an intriguing way here, with an odd mix between lunacy and rationality. You can certainly tell why Owen Burns was attracted to the case! However, I was not a huge fan of the way the crimes were explained, divided into seven “lessons” where Owen Burns and one of the characters discuss the crimes. Here, the killer’s identity suddenly becomes obvious, even before the first murder is explained. To this point, there weren’t too many clues pointing to the killer (although the clueing is technically fair), but this format gives the game away pages before it should. The ending, which could have been haunting, loses much of its potential because of this. Owen Burns is my favourite of Halter’s series characters. He’s the most original and interesting, with a personality inspired by Oscar Wilde. This book gains a lot from his presence. If it were solved by anyone else, I don’t think I’d enjoy this book as much. Burns is obsessed with the idea of art and tries to find it in these crimes. He does a pretty good job, and Halter seems to enjoy writing his character. He can be remarkably straightforward in one sentence and then switch gears into cryptic hints in the very next one. His personality is a fun one: Owen Burns speaks his mind, to the point that he faints during Queen Victoria’s funeral. Not due to grief at the monarch’s passing, but because the flower arrangement at the funeral offended his artistic sensibilities. After the Kindle edition appeared on Amazon (a few days after the paperback edition), I bought a copy and I’ve now read through it. The Seven Wonders of Crime is a tough book to translate, and I give translator John Pugmire full marks here. The killer’s cryptic paintings contain cleverly-worded clues that don’t always translate well into English. John Pugmire does a wonderful job of keeping the clues intact while tinkering with the language to make it compatible with English. For instance, in the French edition of the novel, the murdered lighthouse keeper is named Alexandre Riley. In the English translation, he’s renamed Adrian Maxwell. This change ensures that the clue in the first note doesn’t get lost in translation. Overall, I liked the Kindle edition. It’s well-formatted and proof-read. As with any book, there are a few mistakes, but these aren’t distracting. If you don’t want to spend $20 on the book, the Kindle edition provides an excellent alternative. Overall, The Seven Wonders of Crime is a fascinating read. It’s not quite perfect, failing to deliver on the impossible crime that intrigued me the most. But it is an excellent read and, in my opinion, an improvement on the first book in the Owen Burns series. 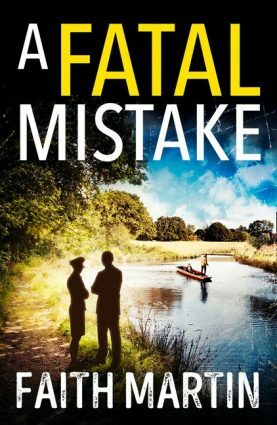 The plot is fast-paced and fairly-clued (although the clues to the killer’s identity are not quite so good) and the set-up is marvellously intriguing. The impossible crimes that it does right are wonderful, and even the flawed ones have major points of interest. The book gains a lot from Owen Burns’ presence and it’s an entertaining read throughout. It’s an incredible journey through the fascinating imagination of Paul Halter, and I’d recommend it to aficionados of the impossible crime. Crikey - "extremely silly", "frankly laughable" "obvious" - it sounds awful. 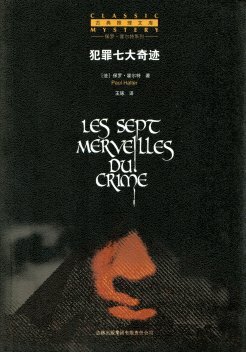 I'm afraid that there are flaws in several of the murders, but the book as a whole is most enjoyable. Oh, and flaws are to be expected when attempting to juggle with no less than seven impossible crime scenarios in one plot. The confidence to do it alone is worth at least one or two points. Finally read this one after purchasing it two years ago. Frankly the more I read of Halter the more disappointed I become. The killer's motive is out of the pages of bad pulp fiction and the special manipulative power the killer has over many of the victims would outrage 50% of 21st century readers. I thought the whole thing ridiculous and put a huge strain on what is usually my very flexible suspension of disbelief. Naturally, I have to be ambiguous here, but I think you know what I'm referring to. Halter once again shows his inability to capture the flavor of his chosen time period (circa 1905 if one pays close attention to references to time passed) which is the most off putting part of all his books for me. Despite all the talk of hackney cabs and top hats it felt like it was the 1990s to me. Only the sun worshipping cult felt like it was part of the era. I agree that several of the crimes were lame and the impossibilities were far from impossible. There was also too much ornamentation in the killer's methods: those messages in framed paintings, the anagrams, the props at the scene of each crime, the overall theatricality of the murders. None of it seemed like the mindset of a person living in the Edwardian age at all, but rather the product of a writer who has seen a lot of movies or read a lot of books about 20th century serial killers who create themed murders. In the end this book owes more to The ABC Murders than anything by Carr. However, I like this killer's over-the-top preparations, paintings and all. It's thoroughly theatrical and not particularly compatible with the time period, but I was willing to swallow it and it gave me a good story. I suppose that's the reason I come to Halter first and foremost, and other stuff like characters I can either take or leave. This is not my favourite of his novels, but Owen Burns is my favourite of his series characters. My favourite is the DEMON OF DARTMOOR, and I love the impossible crime of THE CRIME OF DAEDALUS (which is set inside of a rather flawed 1930s plotline, but if you took the Ancient Greece parts and turned them into a short story it would be brilliant).